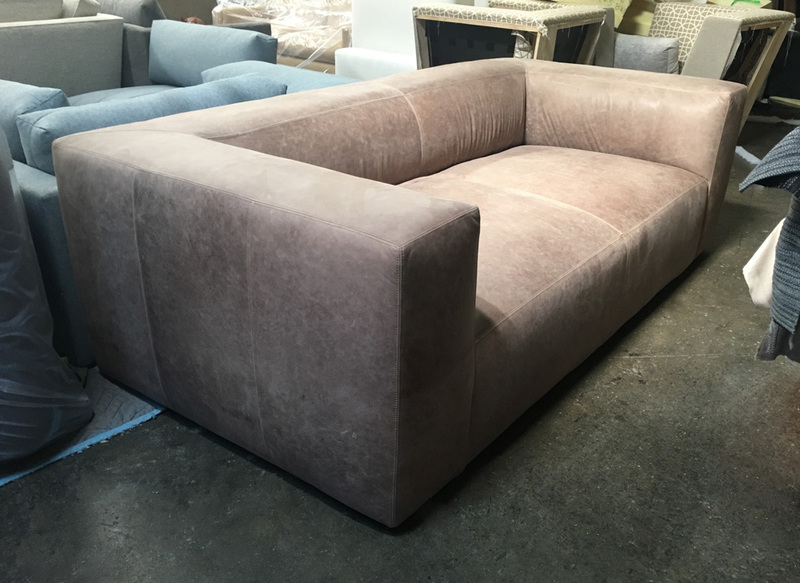 This Las Vegas customer is definitely enjoying this 96″ long, 47″ deep Bonham Sofa in Burnham Dove Leather. 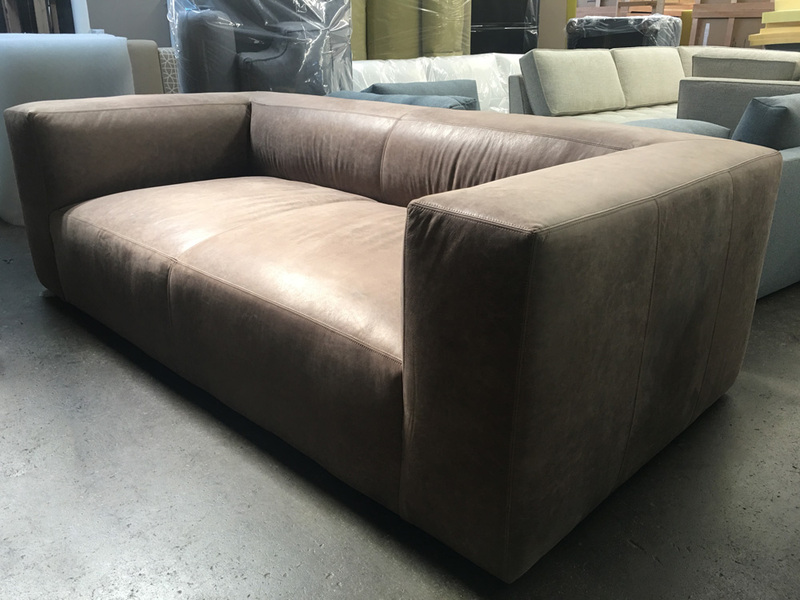 Burnham is a Full Aniline Nubuck leather from from New Zealand with lots of color and finish variation. 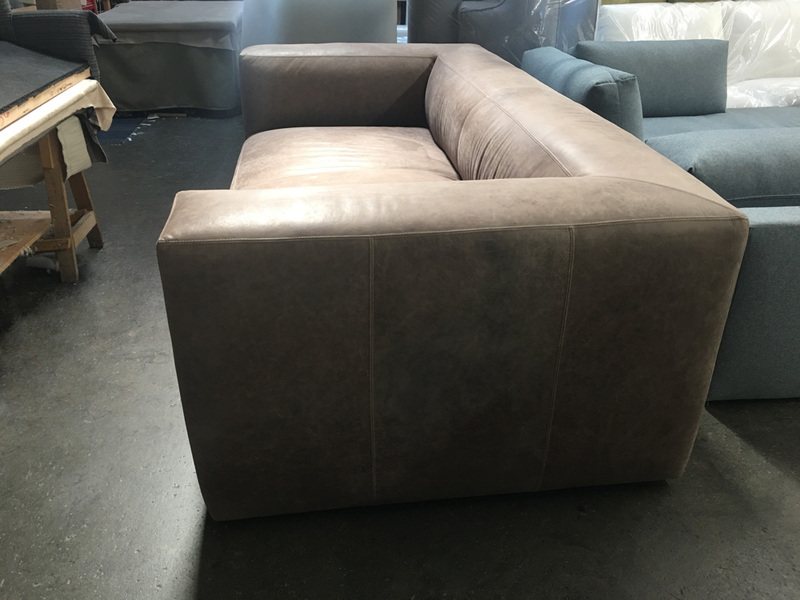 Some areas will be almost suede like (not as thick of a nap as suede) while others will have a tight waxed feel, but the overall effect is a cozy, soft leather with loads of natural character. Our Bonham’s thick padded frame with Feather & Down topped seat offer a balance of comfort and simple styling and this model is available in a variety of sizes and configurations. Normally shown with a reverse seam, this customer opted to customize her sofa with “baseball” stitch seams, which give it a nice refined look. 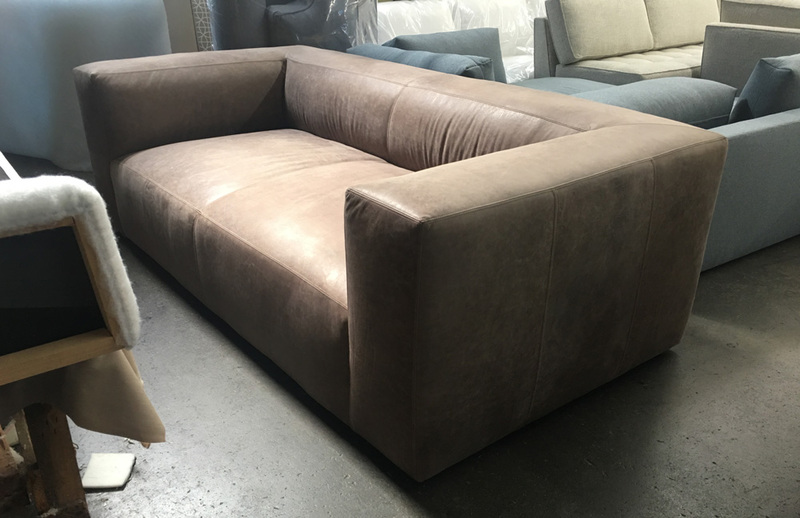 As with all of our collections, this sofa is built in America, and available in a great selection of elite level leathers. This entry was posted in Bonham, Custom Leather Order Feed and tagged 47" Deep, aniline dyed, aniline nubuck leather, Bench Cushion, Bonham Leather Collection, Bonham Leather Sofa, Burnham Dove, Burnham Leather, Fulham Leather Collection, Fulham Leather Sofa, full aniline, nubuck leather, pure aniline, Reverse Seams on November 25, 2017 by LeatherGroups.